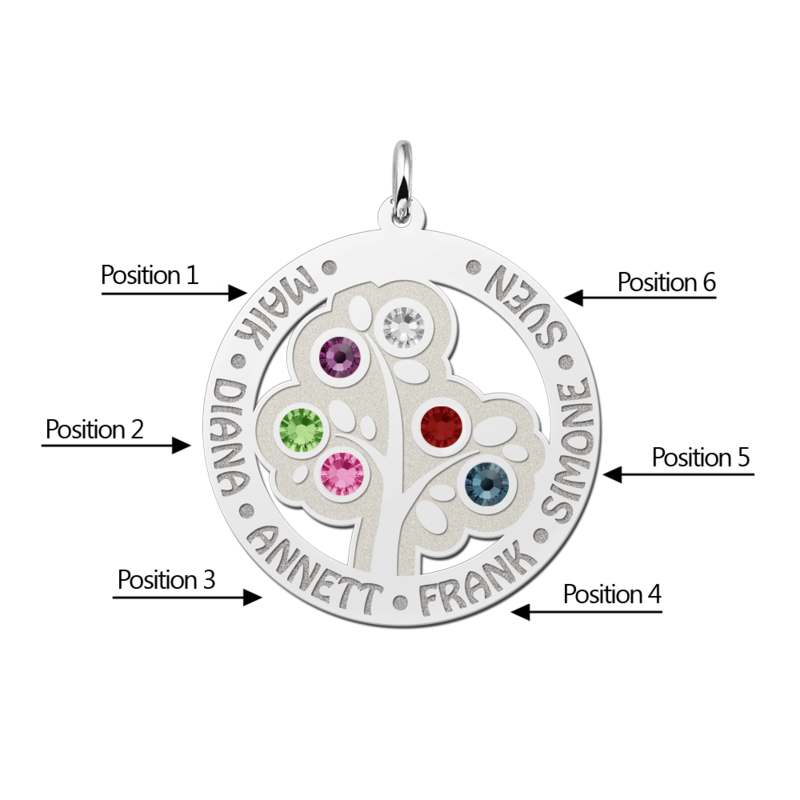 Your family is the most precious possession you have, and one you want to keep with you always. 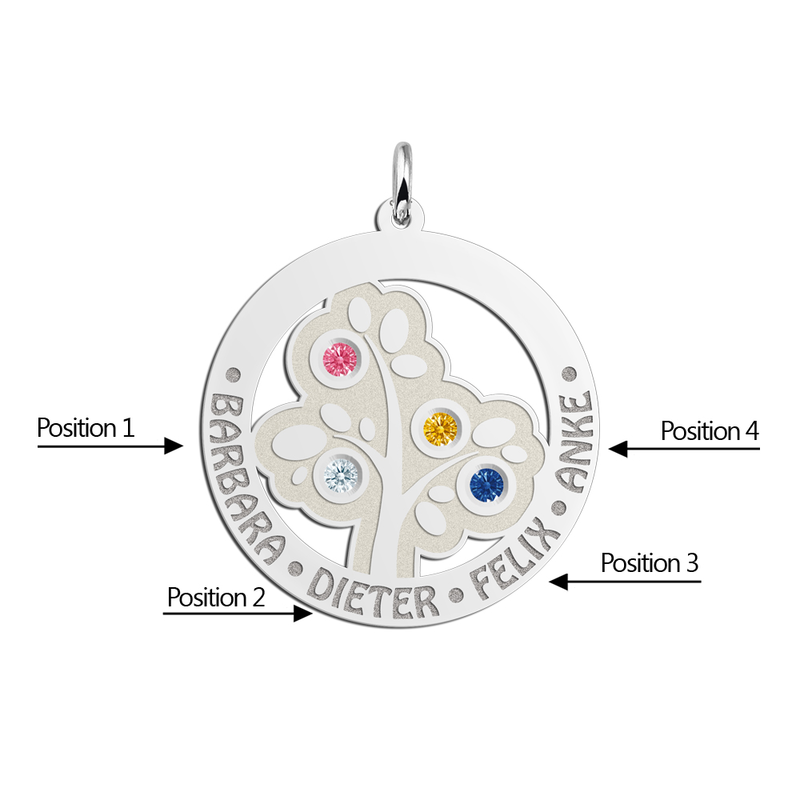 Now you can, with our silver family jewellery! 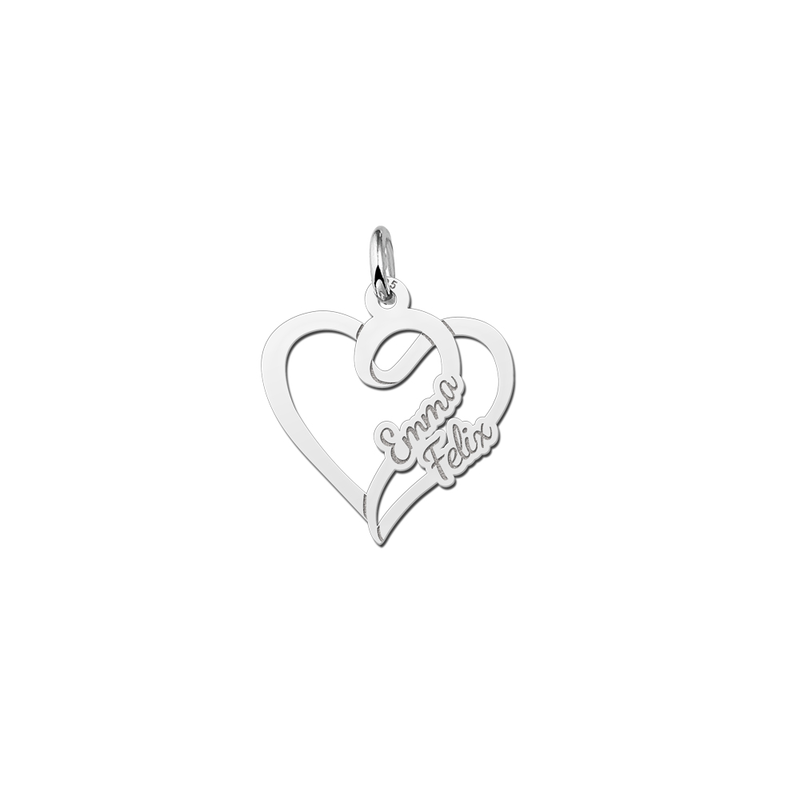 A round silver pendant or heart-shaped silver pendant The family jewellery is round or heart-shaped and comes in pairs. 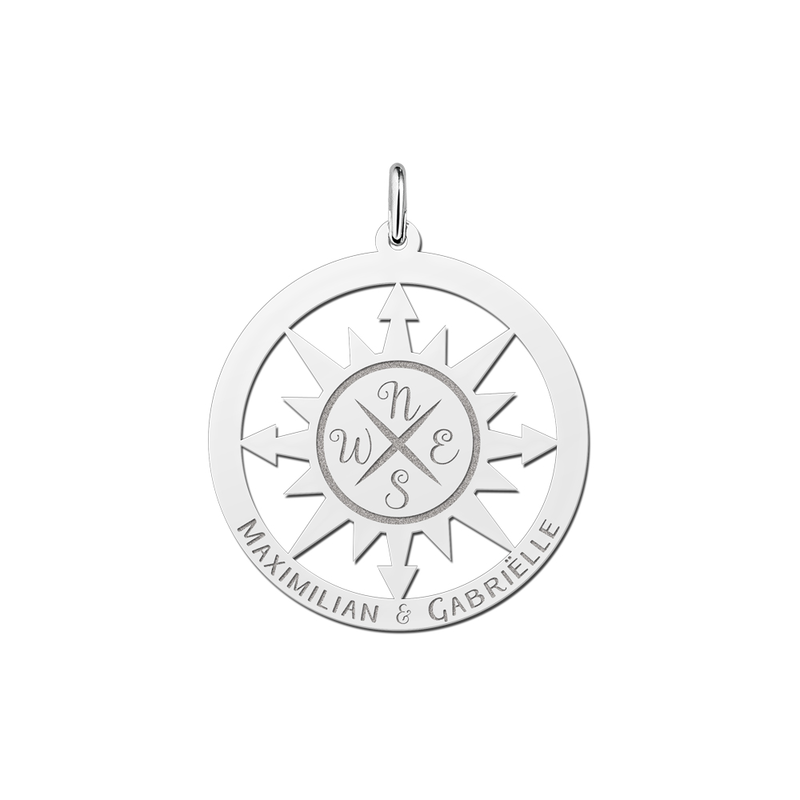 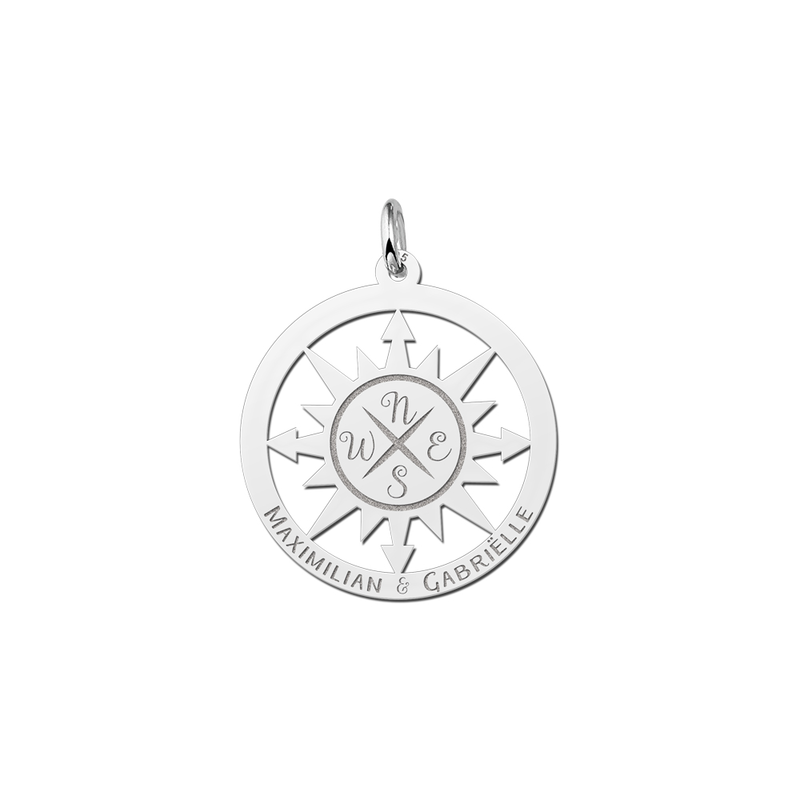 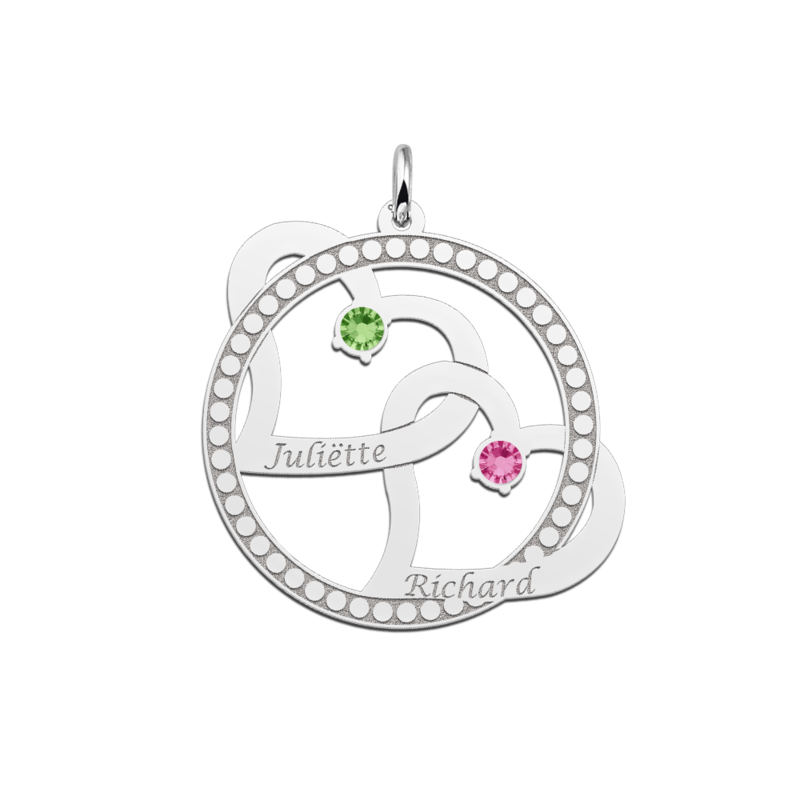 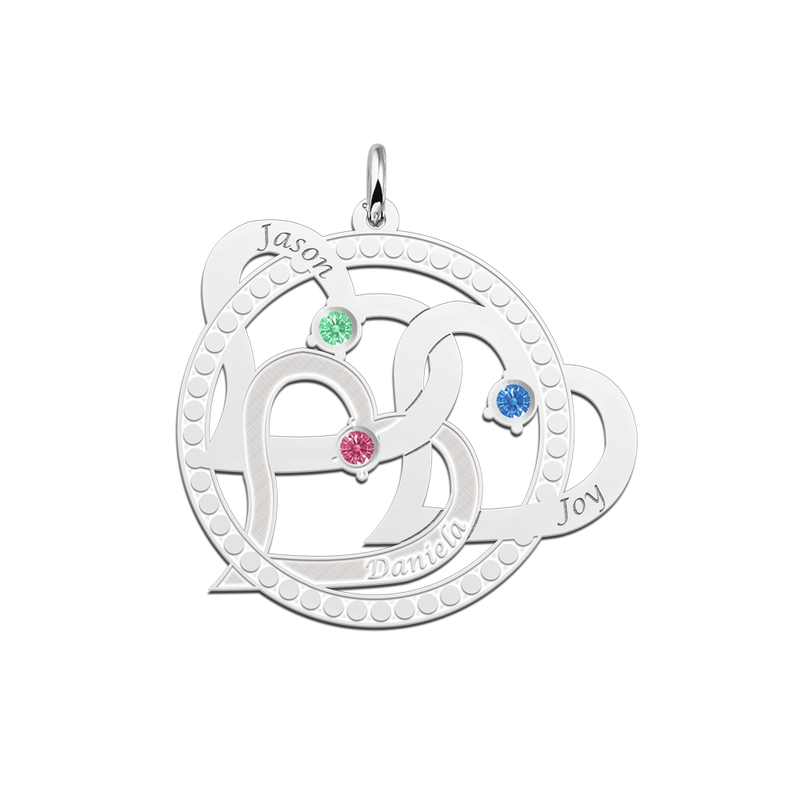 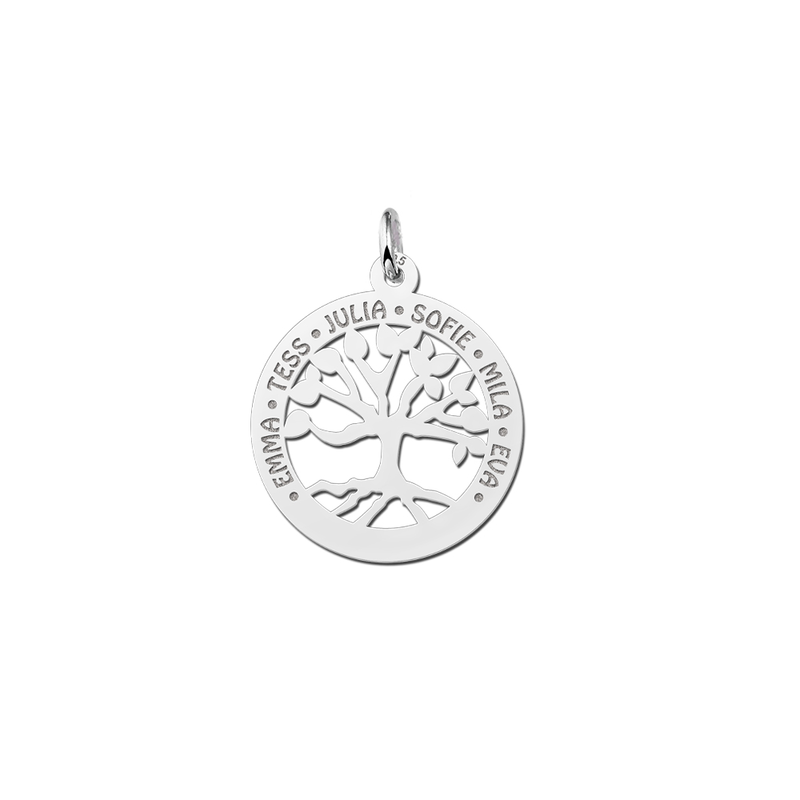 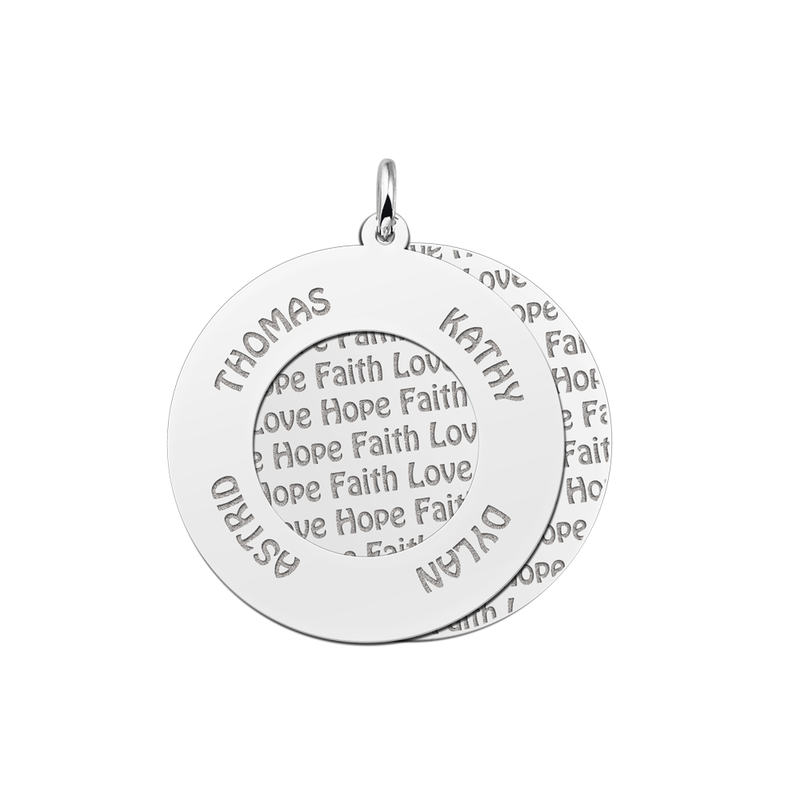 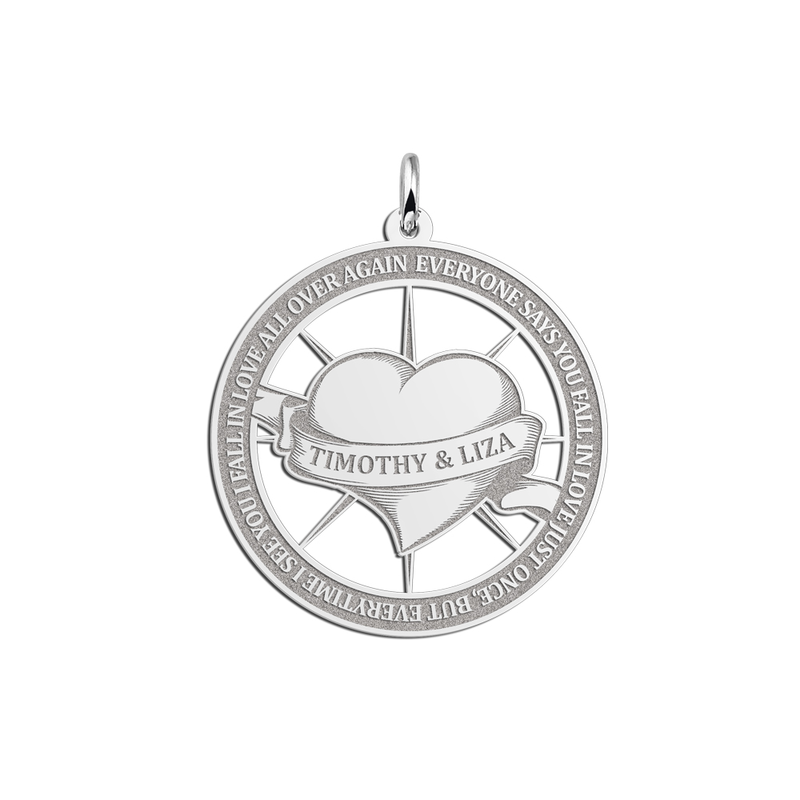 Well-chosen words – Hope, Faith and Love – are repeated on the back pendant. 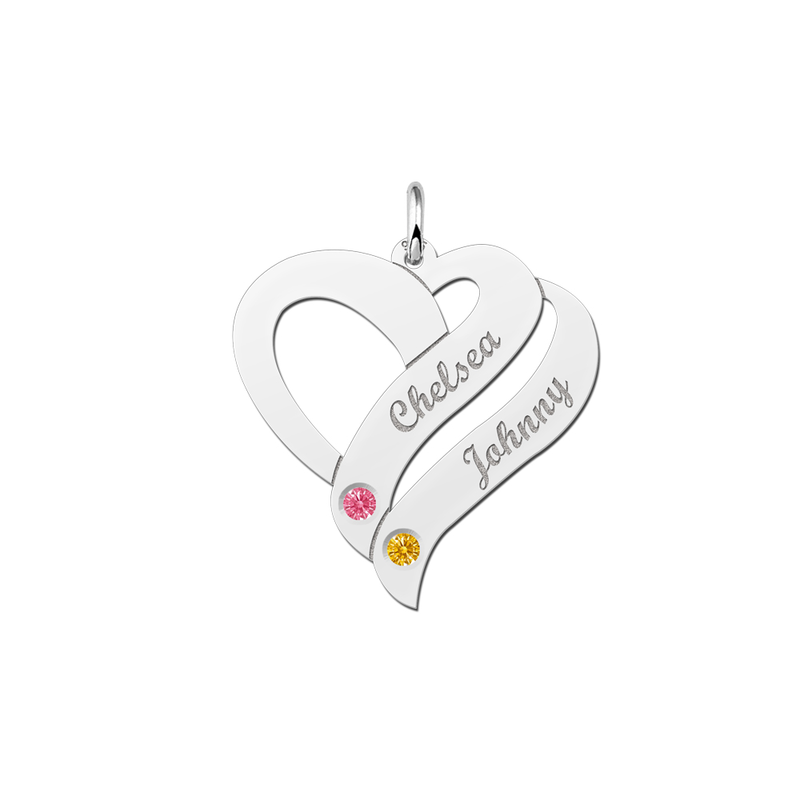 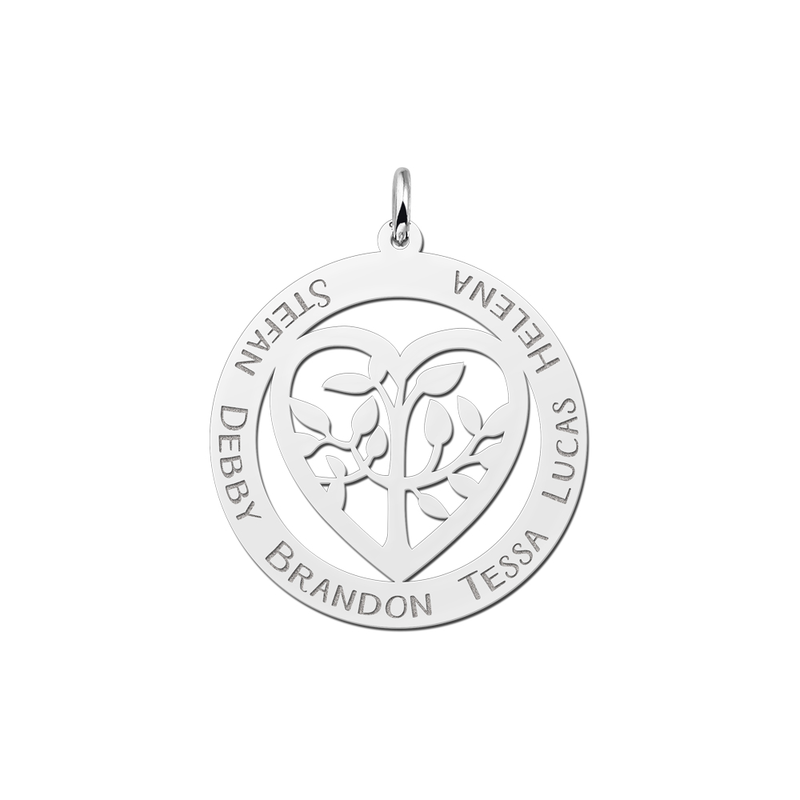 The names you choose (of your family, children, grandchildren, brothers, sisters or sweetheart) are on the front silver pendant. 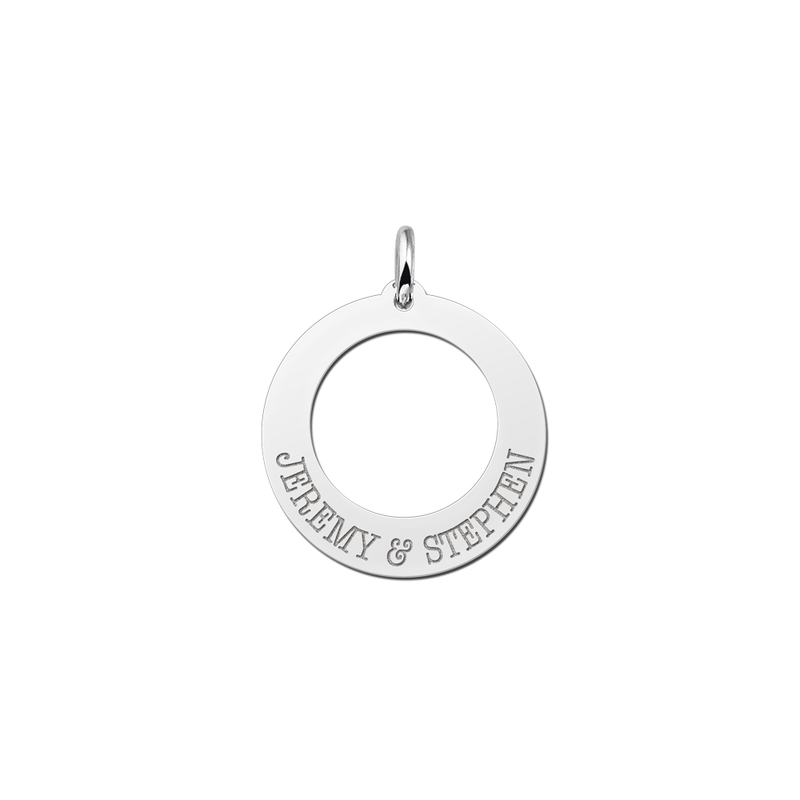 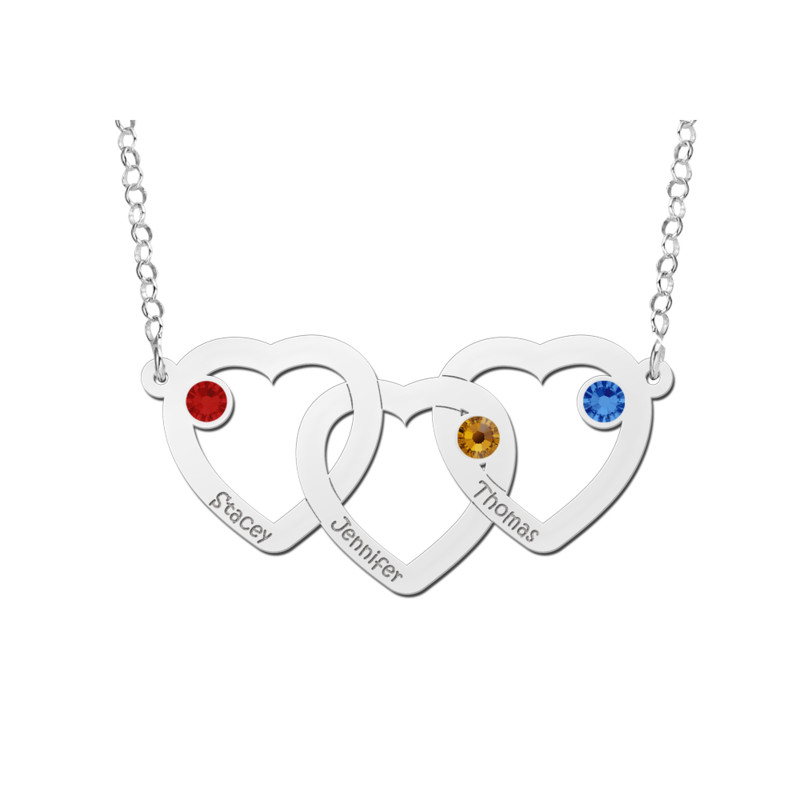 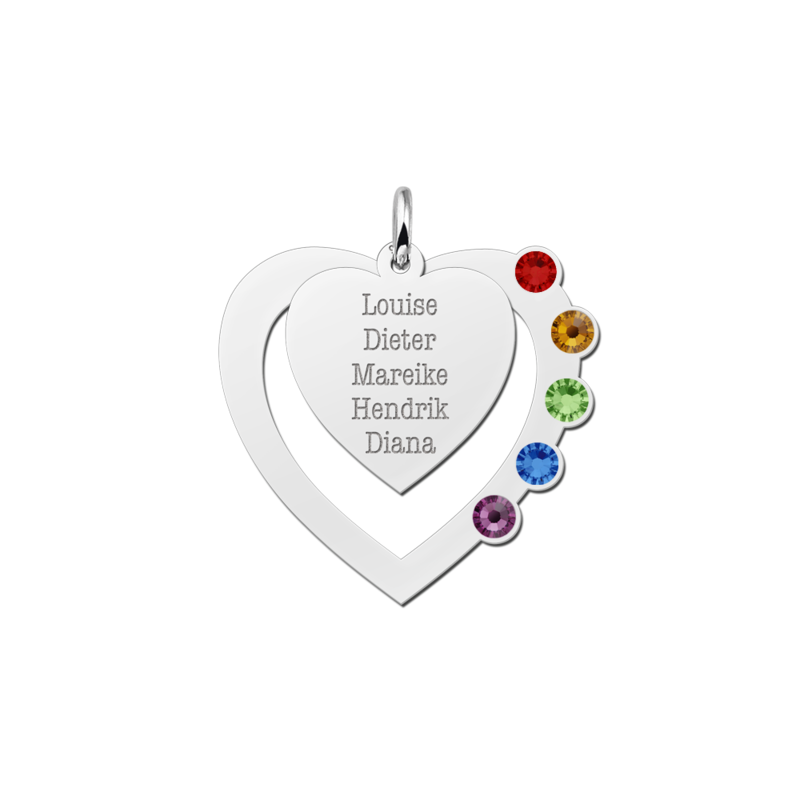 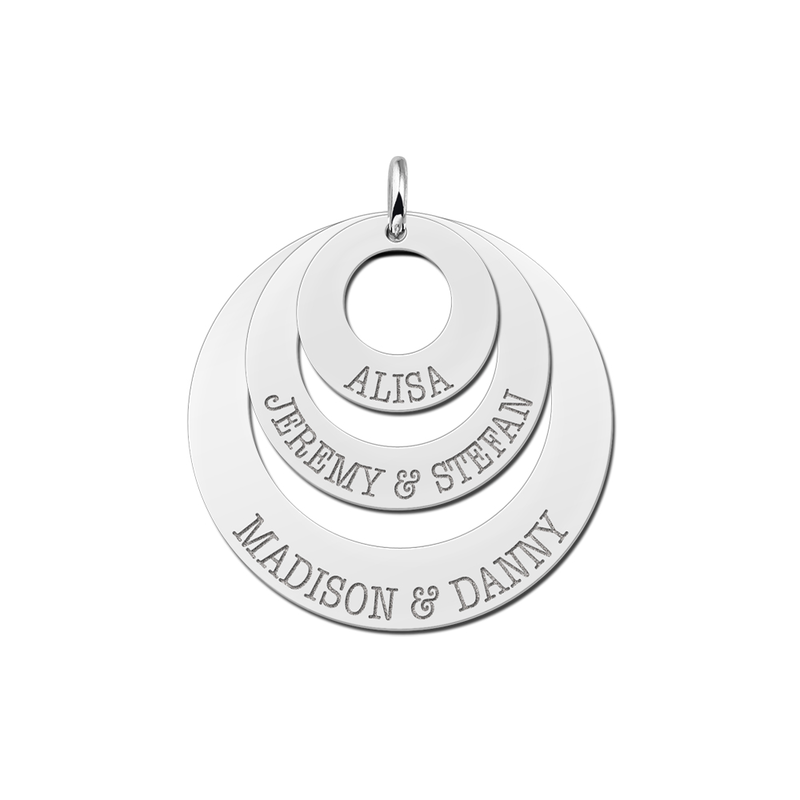 Or put the names of your best friends on a piece of family jewellery. 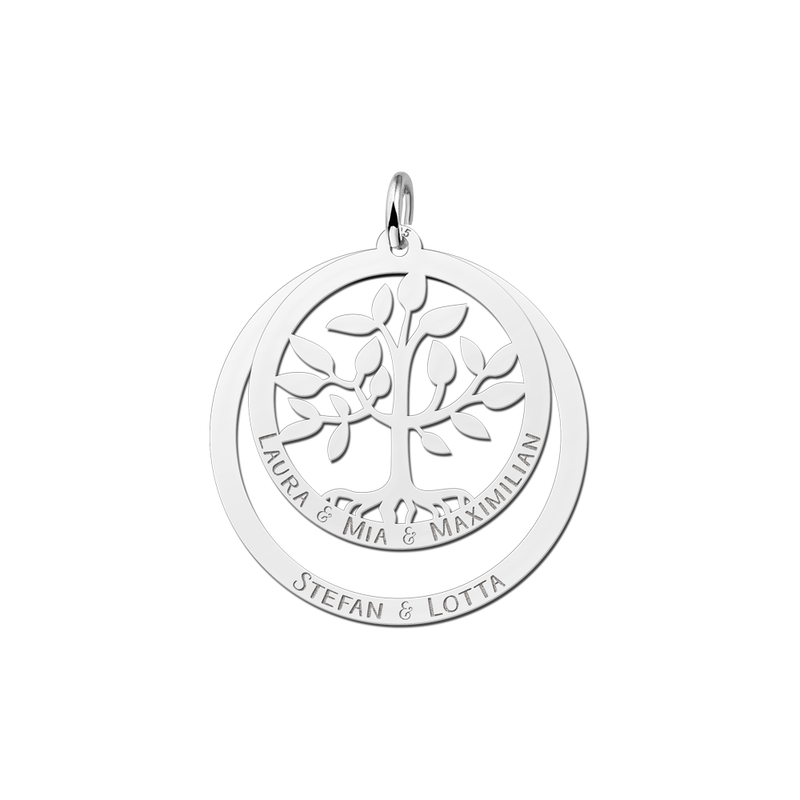 The silver family tree is a real eye-catcher! 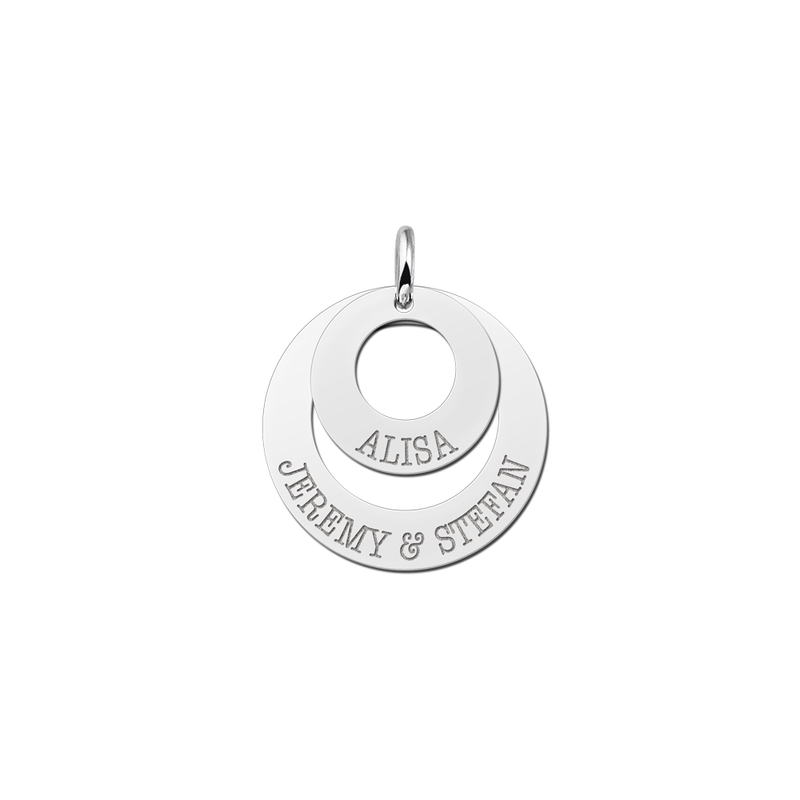 This perfectly designed piece of silver jewellery is the centre of attention, just like your family. 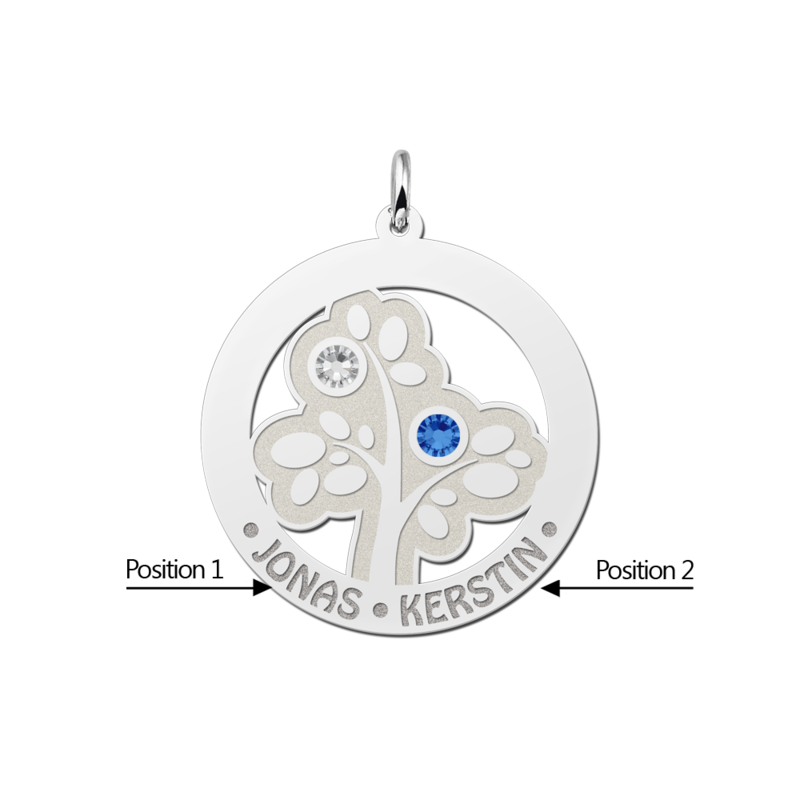 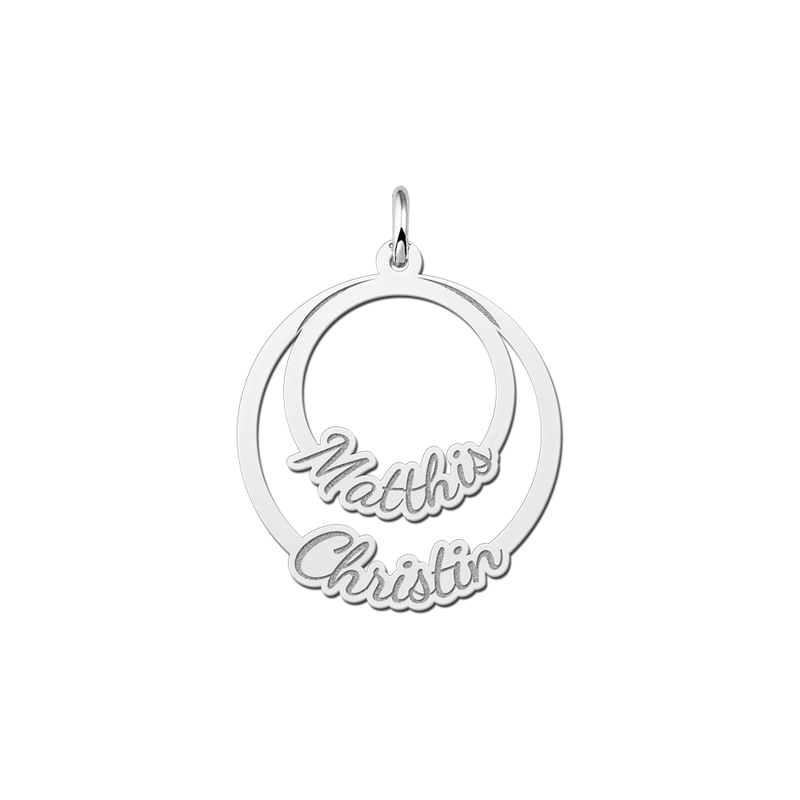 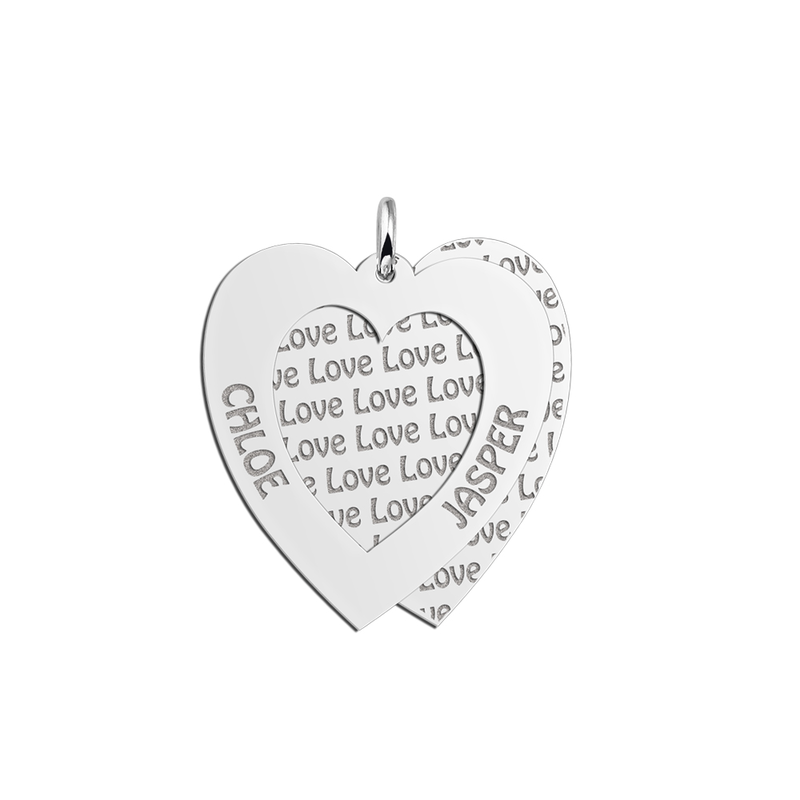 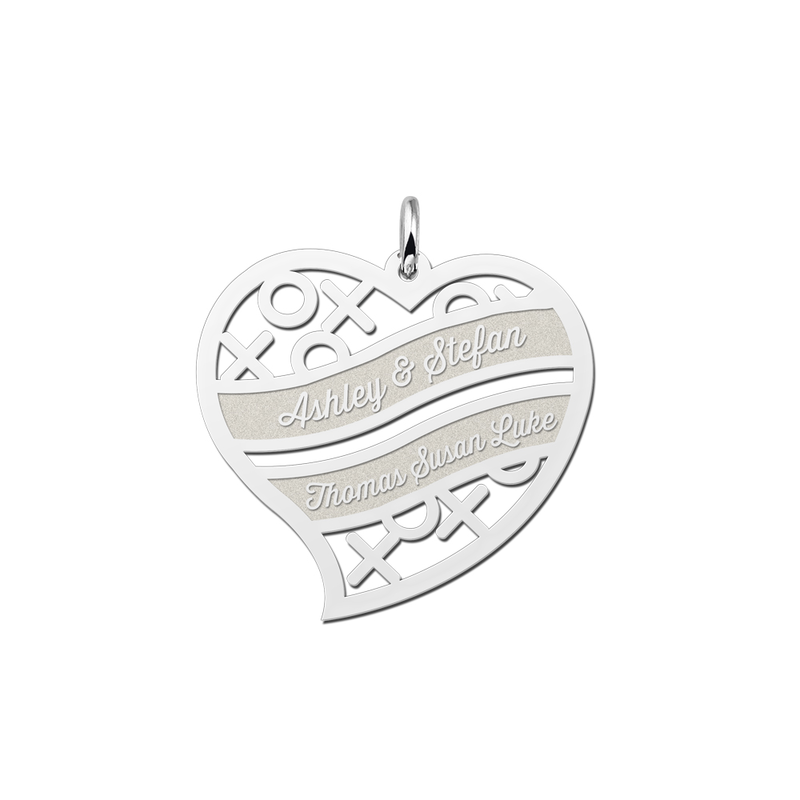 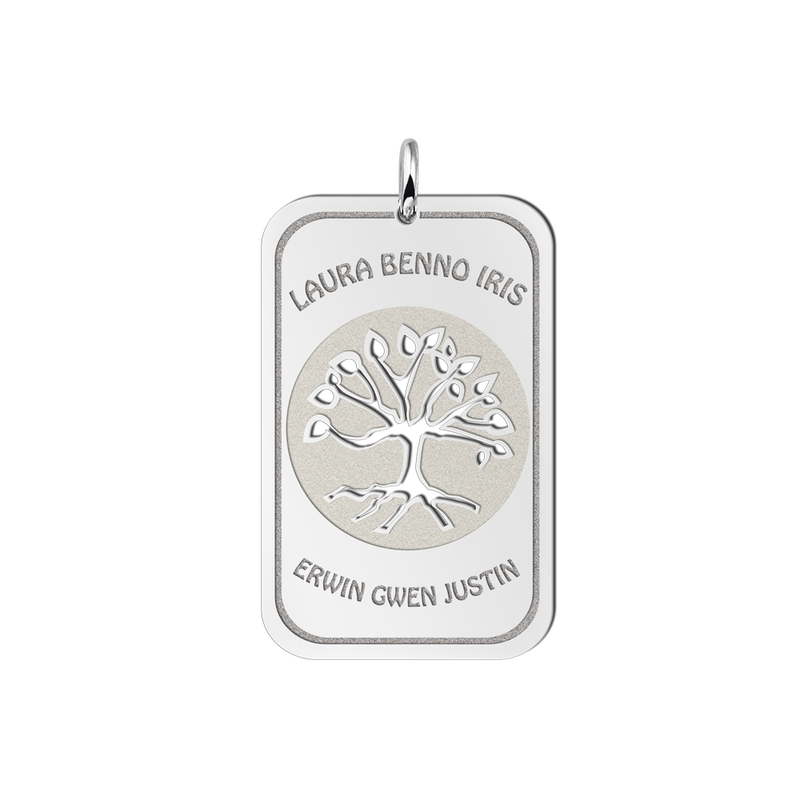 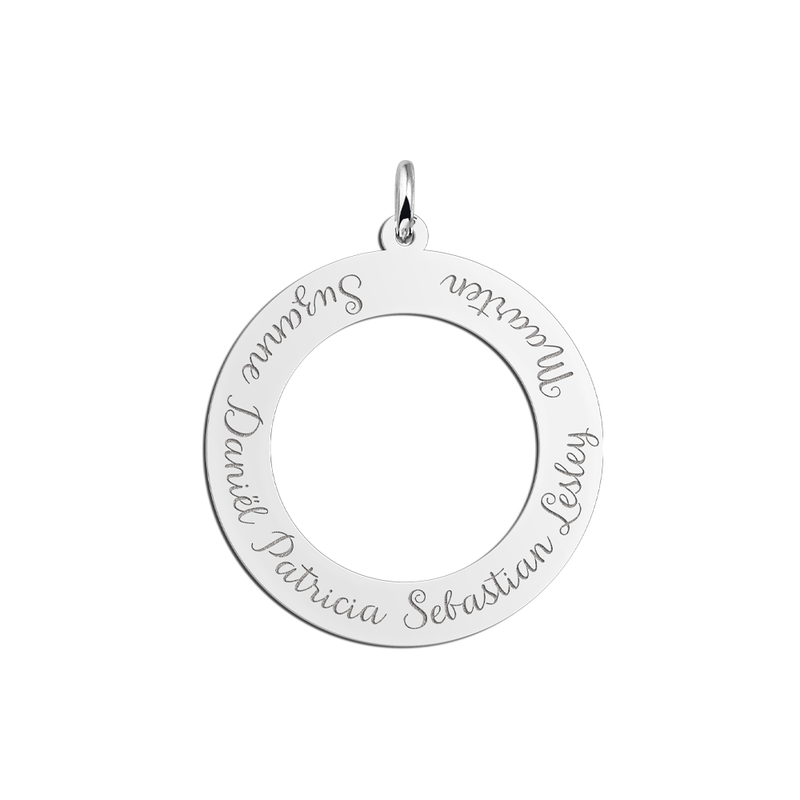 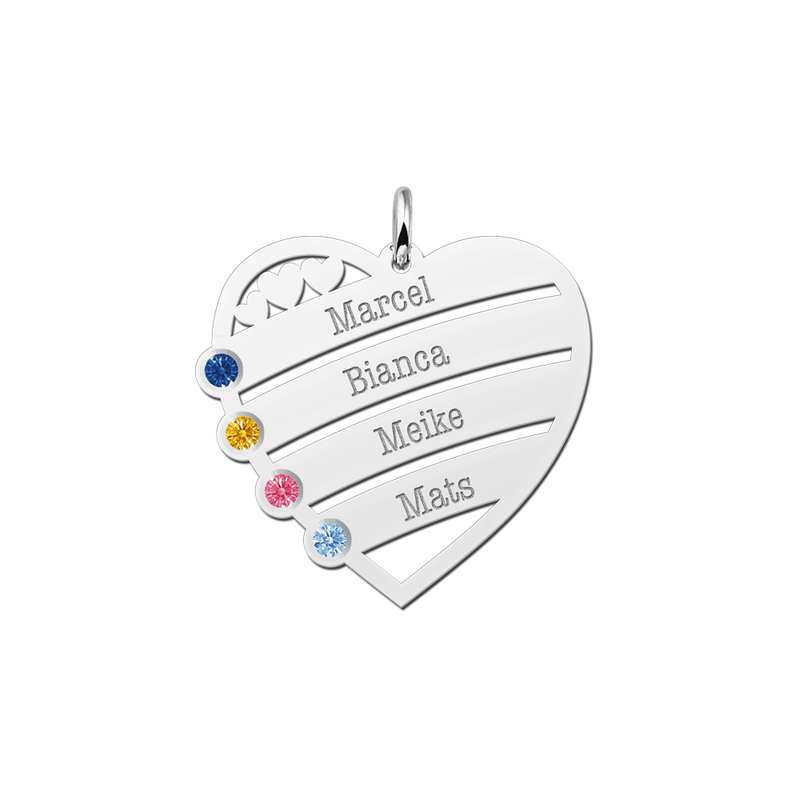 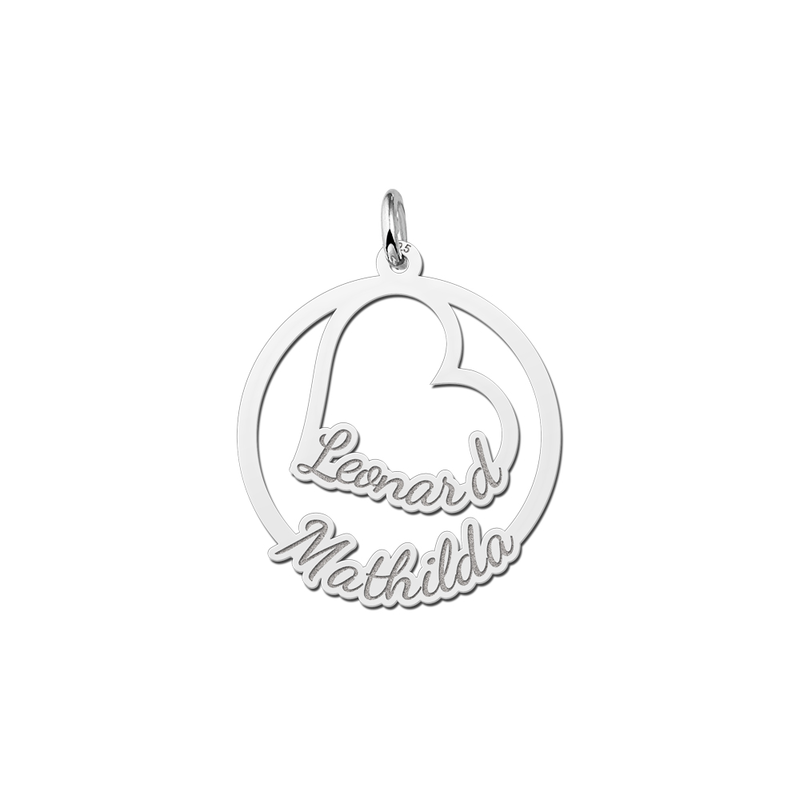 We put the names of your family in the silver pendant. 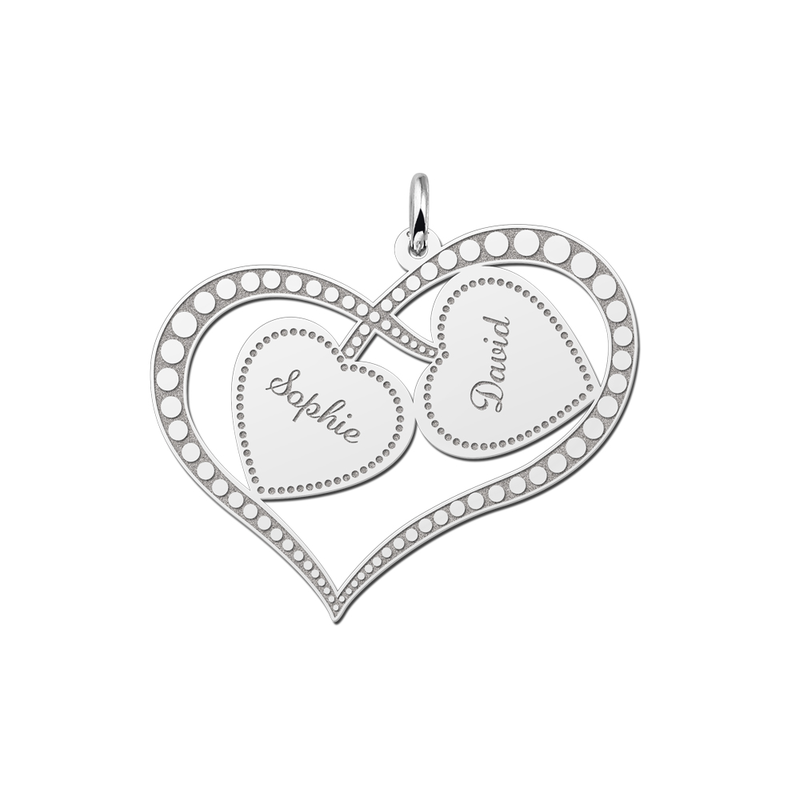 This way you always carry your dear ones with you! 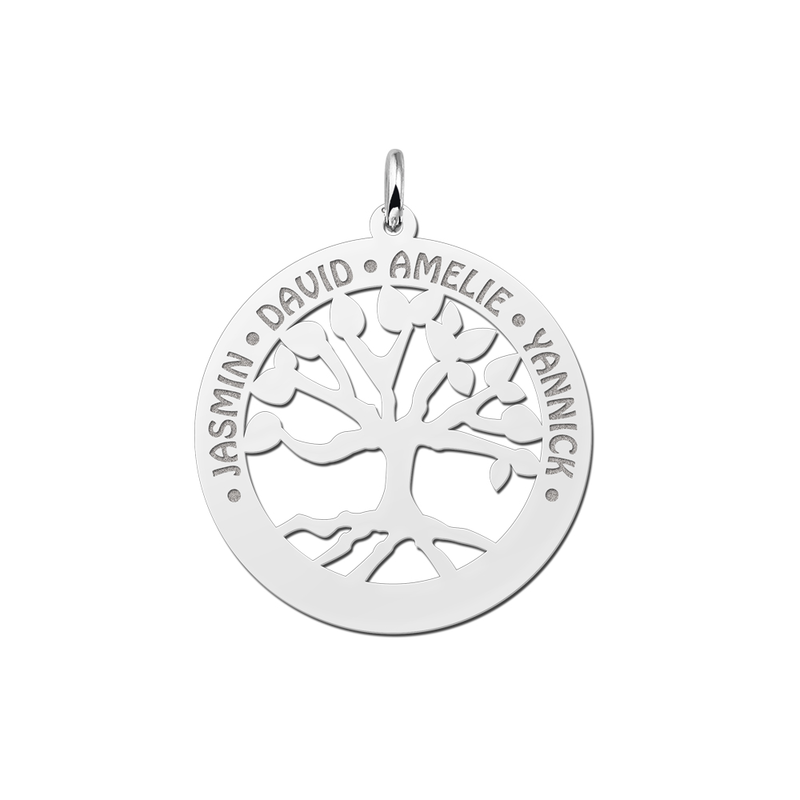 A silver family pendant from our collection makes an excellent gift. 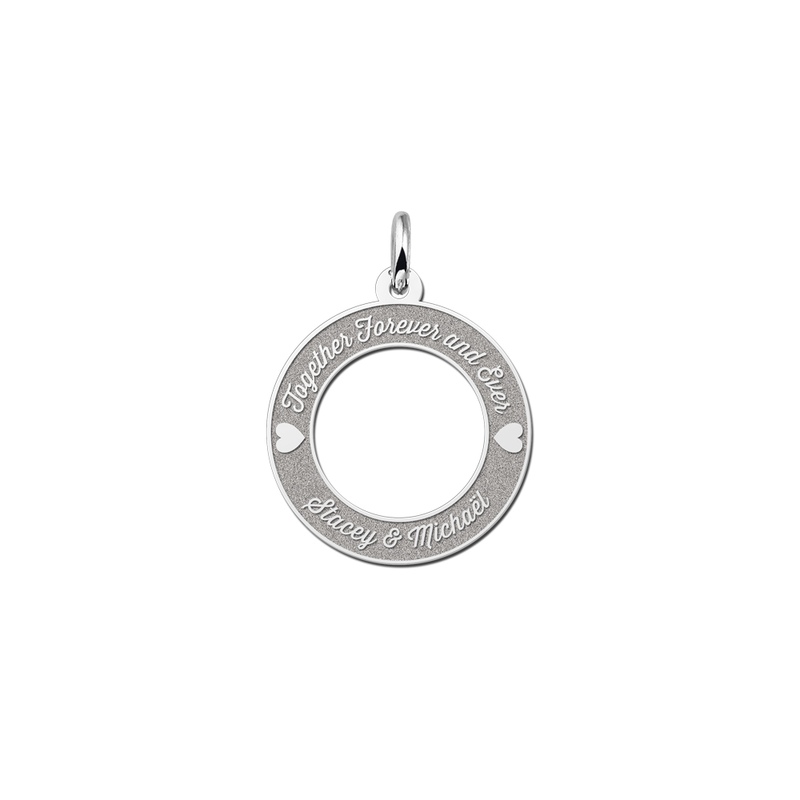 Every mother, mother-in-law, grandmother or sister will be moved to tears by such a lovely, personalised piece of silver jewellery! 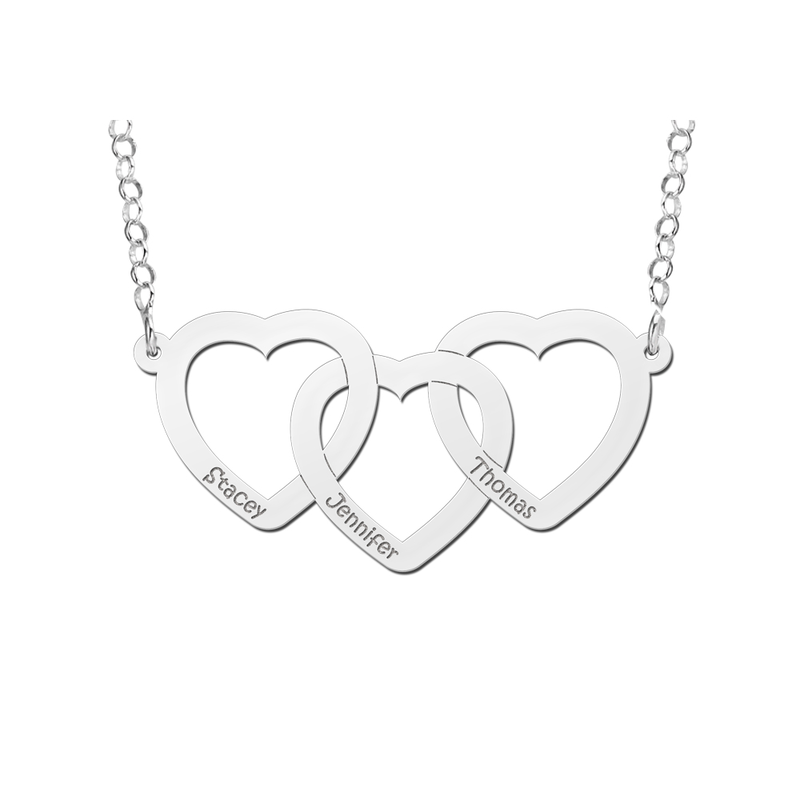 Matching silver necklaces can be ordered separately. 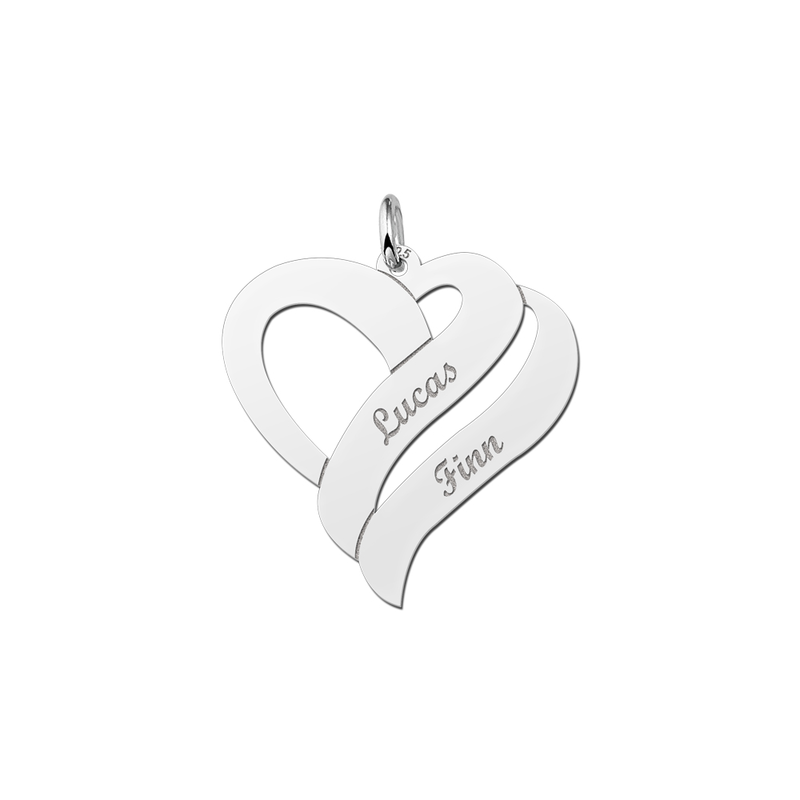 Our studio will send your piece of silver family jewellery within four working days. 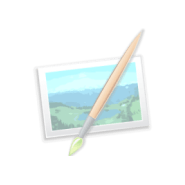 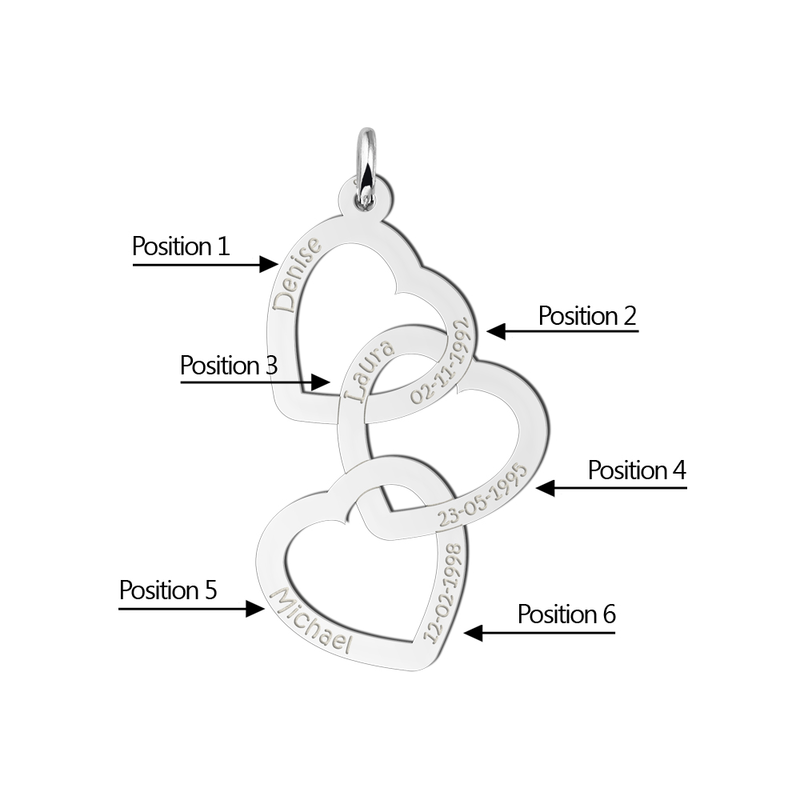 Depending on the postal service, you will receive your order another 5-8 working days later. 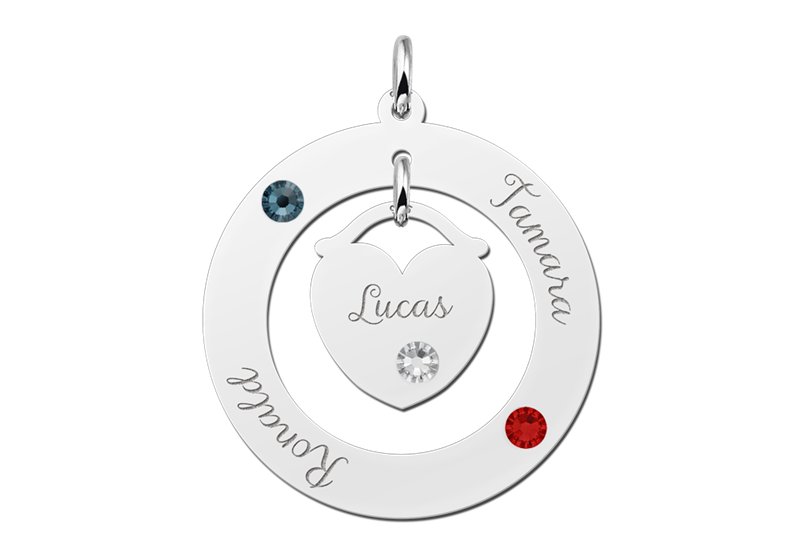 We do not charge you any shipping costs! 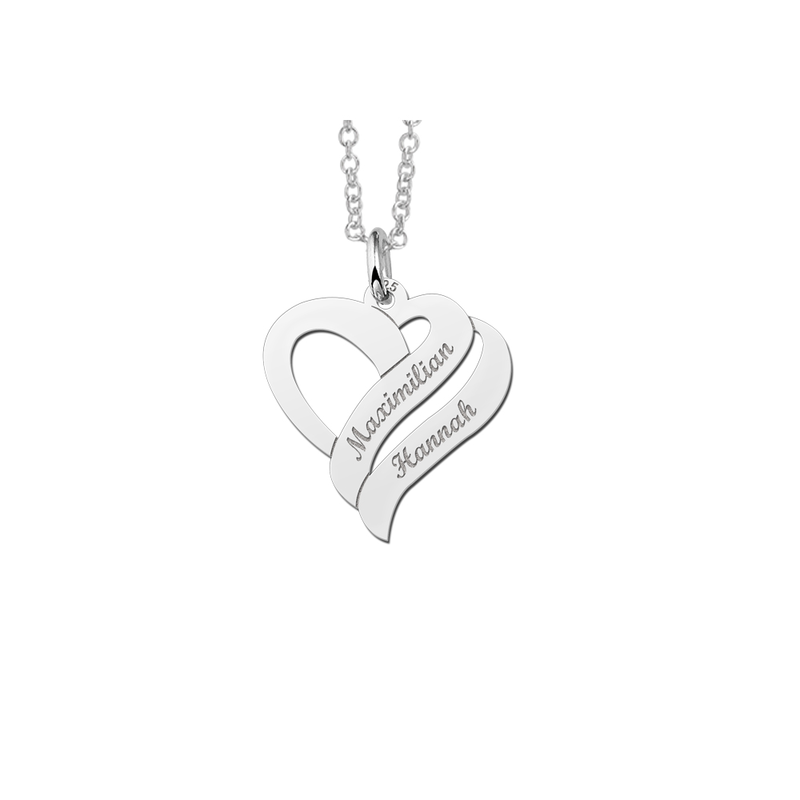 Our name jewellery is all very low priced. Every single pendant is beautifully finished and a joy to behold. 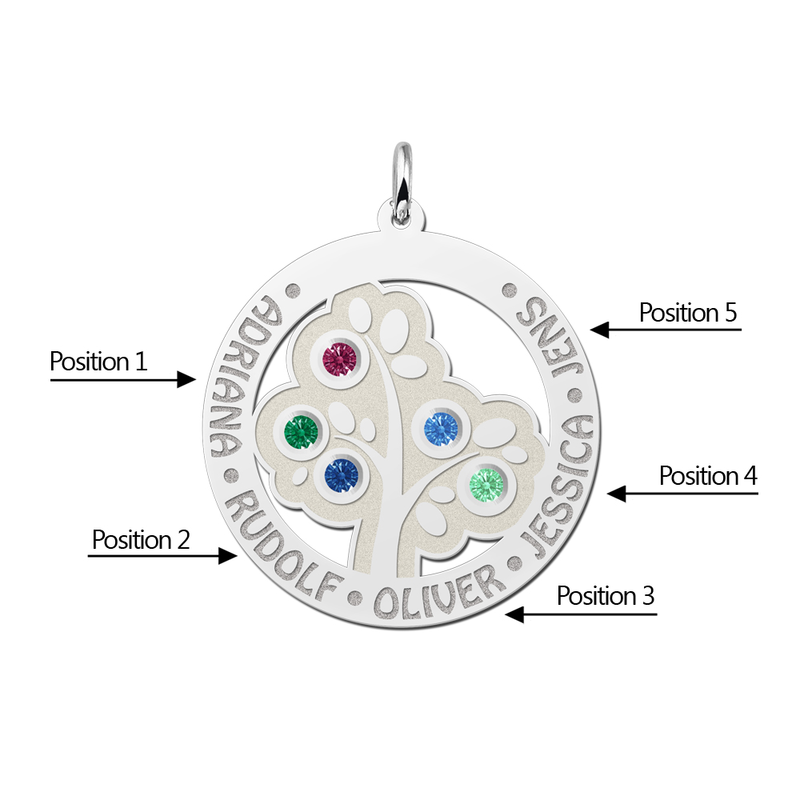 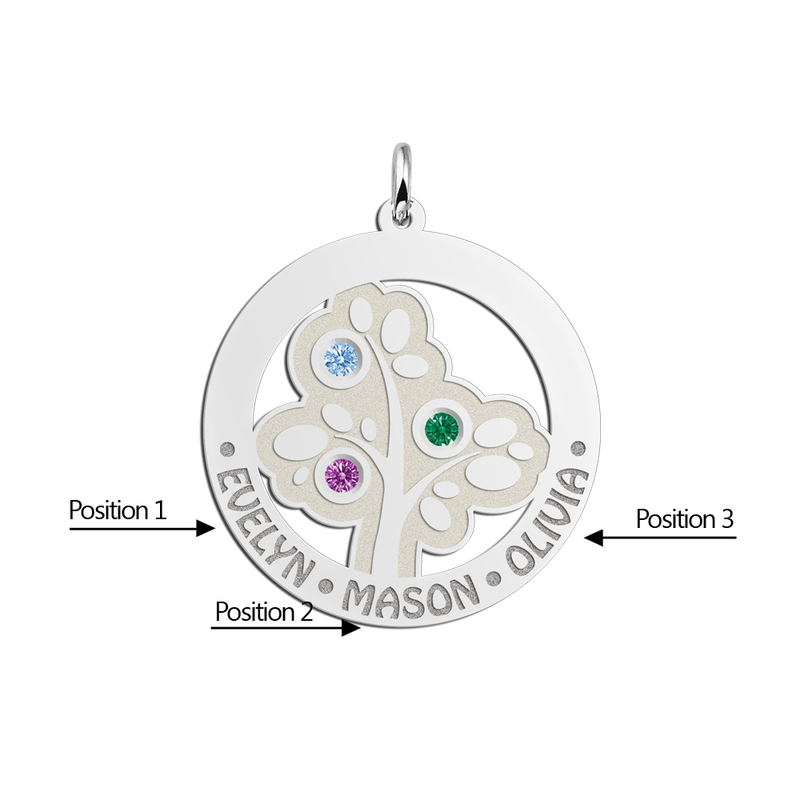 Browse around and order here your silver family pendant today!